Still having difficulties with 'J’ai fait la lessive' Want to improve your French? Test our online French lessons and receive a free level assessment! Do you have smart way of remembering this rule? 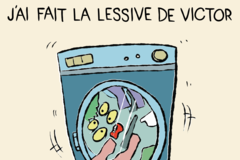 A tip to avoid making a mistake on 'J’ai fait la lessive'? Share it with us!